1. 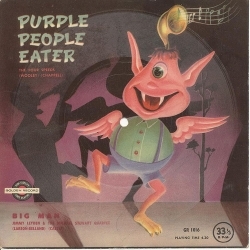 Discuss whether a ‘Purple People Eater’ is a purple creature who eats people or a creature who eats purple people. Let’s hope it’s the latter (unless you happen to be purple! 2. Can you say ‘Purple People Eate’r fast ‘seven times’ in a row? How about more??? 3. Have small groups act out different verses of the song. (See lyrics below) Put it together for a neat play! 4. Using the purple theme, introduce the theory of monochromatic painting and have each child produce one. 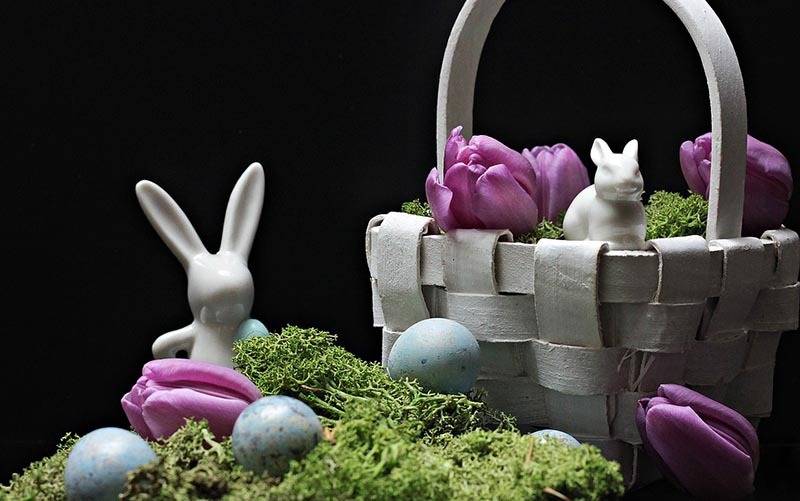 (There are other purple-art/craft ideas in the Purple Color Theme. 5. Put out a variety of craft and recycled items (toilet paper tubes, pom-poms, paint, markers, google eyes, pipe cleaners, yarn, etc.) and have the children create their own craft version of a “Purple People Eater” Put these on display. The kids could also write stories or a paragraph about their creation. 6. Challenge children to come up with a drawing of the ‘Purple People Eater’. This could also be extended to working in 2 or 3 person teams and creating a large ‘Purple People Eater’ from recycled materials–using boxes, paint, foil, etc. and a great deal of imagination! Be sure to display creations for all to see! 7. Imagine and discuss ‘The Purple People Eater’ coming into your program, classroom or home. How would you make him feel welcome? Have you ever known somebody very different from you who at first you were wary of but then became your friend? How was that person different and how did you learn to appreciate those differences? Dress in purple sweats; jell child’s hair so it stands up in a “horn”; draw an “eye” in the middle of child’s forehead with make-up. Top it off with a necklace made of a plastic fork, knife and spoon; tie these on long yarn around the neck . 9. Hold an event and invite parents and families. Use some of the above ideas! Serve snacks from the ‘PURPLE COLOR THEME’. …A fun time for all! This theme would also mix well with KA’s Purple Power-Purplicious Theme! It was a one-eyed, one-horned, flyin’ purple people eater. This novelty song was #1 for six weeks in 1958. If you want to familiarize yourself with the song…You Tube has a ‘Purple People Eater’ Video…It’s silly and for kids–from a kids’ program. One viewer’s ‘comment’ uses profanity-so caution in allowing children to read comments if you are not the parent.